As Mary’s son turns one she reflects back on the first year of his life and her fitness levels and goals. What she learned through her journey of prenatal fitness. She talks about the benefits of tracking progress in a diary as it is very hard to remember where you started and how far you have come. 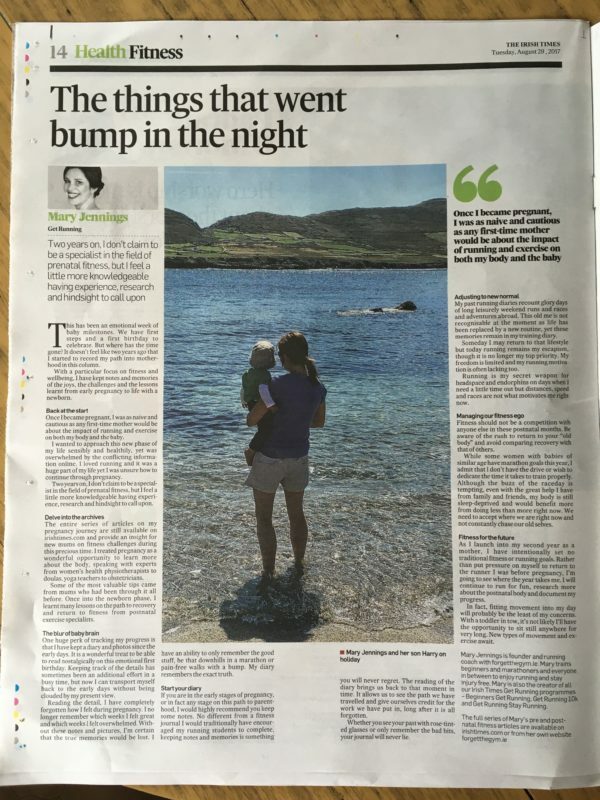 This article first appeared in The Irish Times on August 28th 2017. You can read the full article online here.